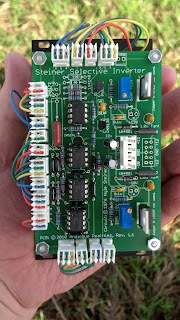 Steiner Synthasystem DIY: Selective Inverter complete! Building a Steiner Synthasystem modular synth, DIY from PCBs. 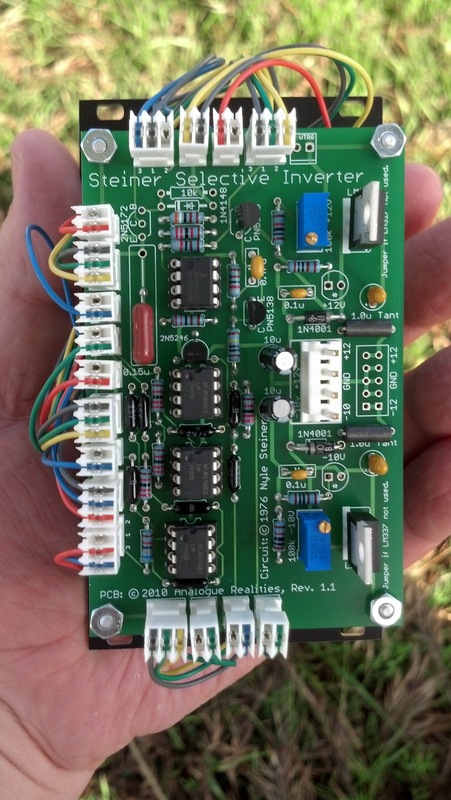 And now, the Selective Inverter is finished! 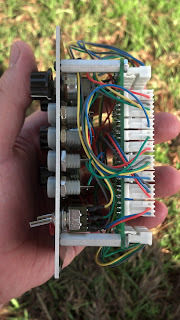 One thing that I didn't realize from the description, but suspected from the schematic, was that in the fixed mode the "B" output is always inverted (i.e. 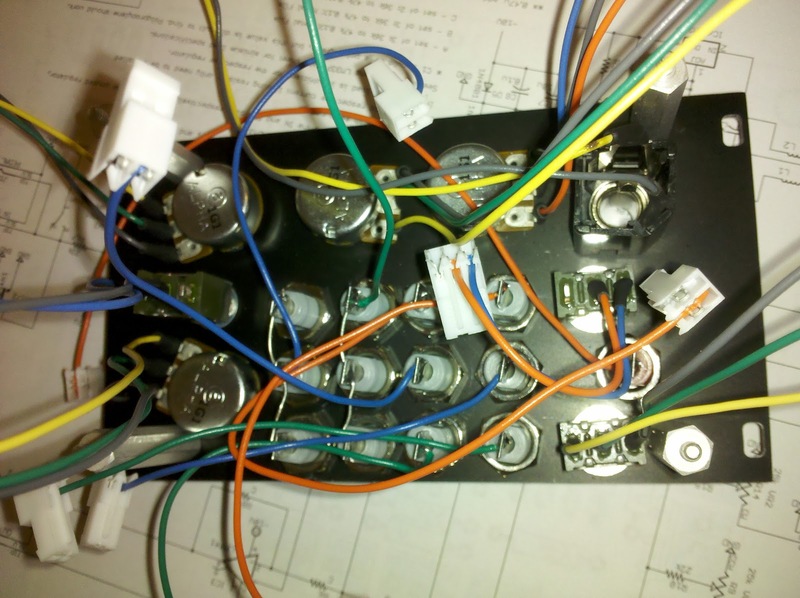 the trigger inputs do nothing). Also, I was really confused at first while testing it, until I remembered that the offset voltage is bipolar (-10V to +12V). 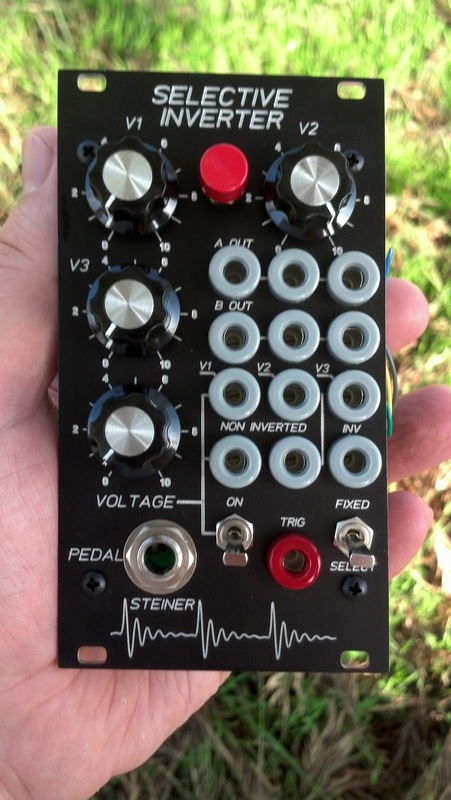 Anyhow, I'm very much looking forward to trying this out with some "real-world" applications! 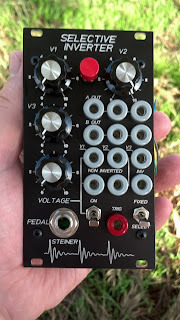 Synthesizer enthusiast, purveyor of experimental music, cassette fanatic, aural explorer, craft beer imbiber, mead brewer, and book devourer.